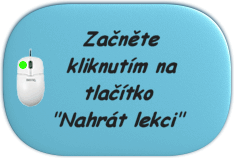 Hledáte čichat, cítit = smell? Použití pojmu smell ve větách. The air seemed solid, it was so thick with the smell of ancient earth. In fact the air was still pungent with the smell of the shearing. The air was about as clear smelling as it ever got in Manhattan. The sight of his panic was also a smell and a taste to her. The smell of burning flesh wafted up from the footlights. The smell of the tunnels was in his nostrils now. He made their beds up with sweet smelling linen. Not the smell of the deep tunnels of course. He recognized the smell cordite. She hated the smell of him. He smelled of aftershave. Hence that rotten smell.